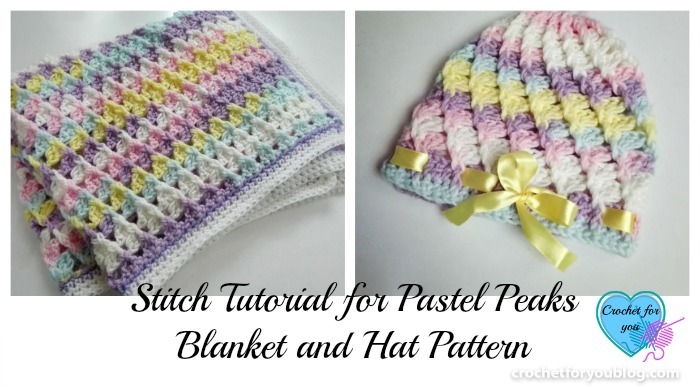 I recently have received lots of questions about Pastel Peaks Blanket and Hat pattern. 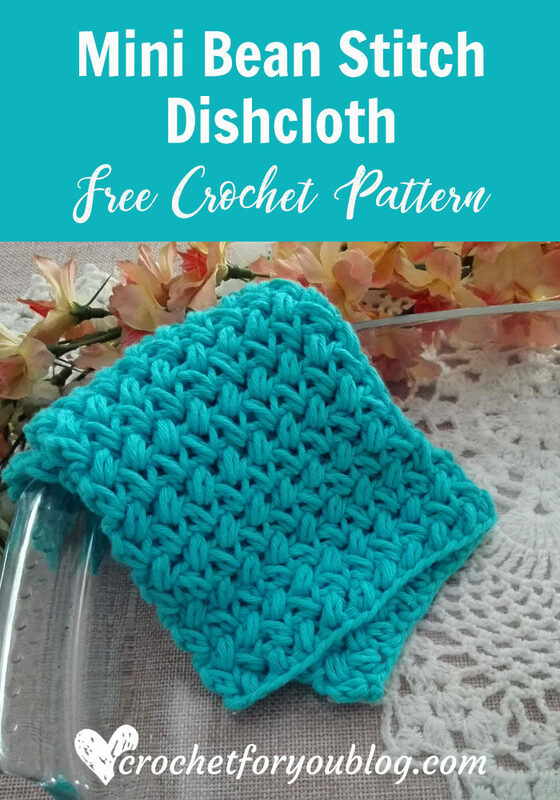 Here are the stitch tutorials for blanket and hat crochet pattern. 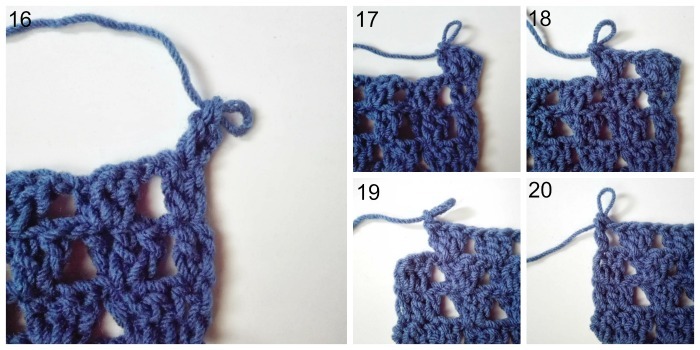 This helpful stitch tutorial I made for Pastel Peaks Blanket pattern. 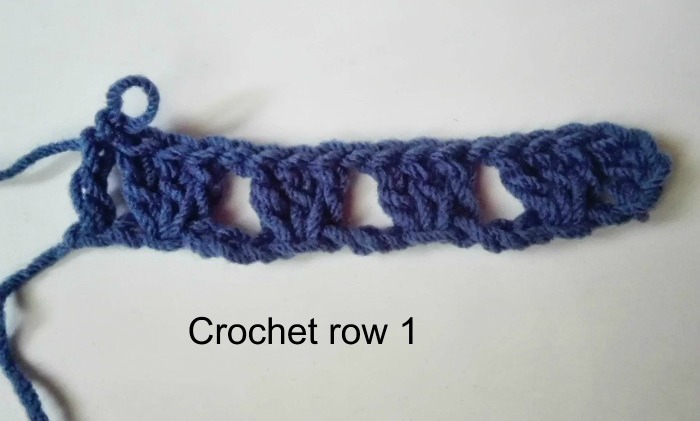 Please go to the pattern instruction to see the full description of the pattern. and come back if you have a confuse about the pattern, especially about the (2dc, bpdc) shell and (fpdc, 2 dc) shell stitches. (RS) crochet row 1 to start Pastel Peaks Blanket. 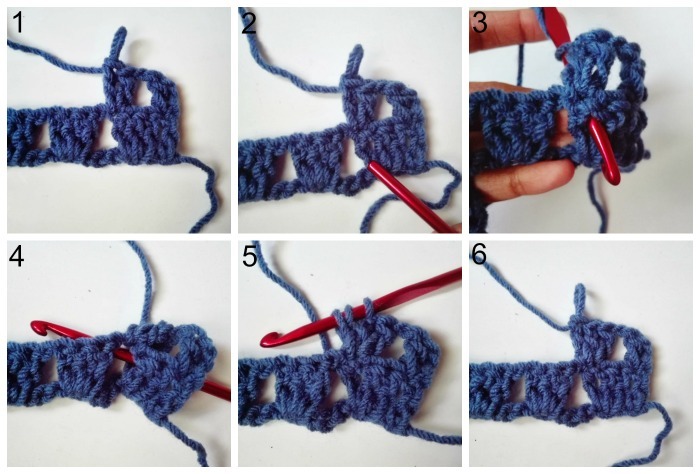 Now we are going to crochet (2dc, bpdc) shell in next st.
Yo, pull up a loop (image 5) and [yo, pull back through 2 loops] 2 times. sk next ch-1 and 2 dc, 2 dc in next st (image 8), dc in last st (image 9), turn. Row 2 finished. Now we are going to crochet (fpdc, 2 dc) shell in next st (the bpdc stitch we made in previous row). Made a (fpdc, 2 dc) shell st.
2 dc in last dc (image 14), turn. Row 3 finished (image 15). sk next ch-1 sp and dc, dc in last dc (image 20), turn. Row 4 finished. sk next dc, dc in last dc (image 23), turn. Row 5 finished. 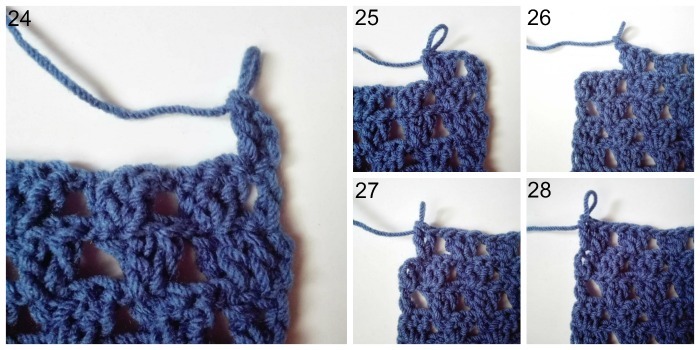 Crochet ch 1 after last shell, sk next ch-1 and 2 dc, 2 dc in next dc (image 27), dc in last dc (image 28), turn. Row 6 finished. Now you can see the (RS) and (WS) of the pattern in above photo collage. 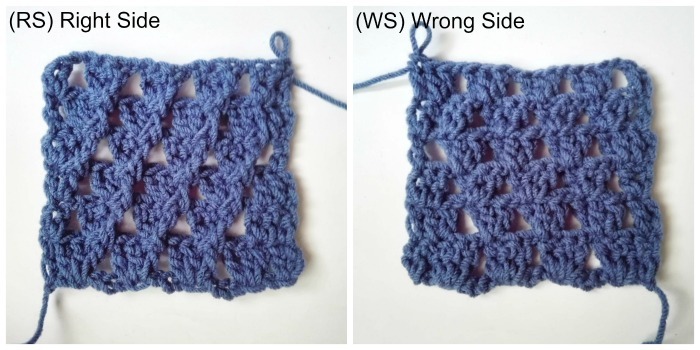 think now you can understand well about the (2dc, bpdc) shell and (fpdc, 2 dc) shell stitches. 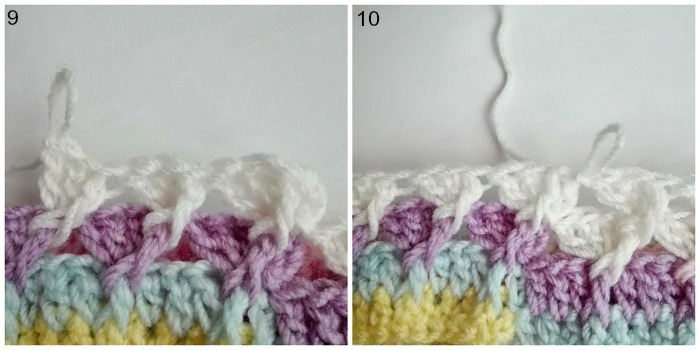 This helpful stitch tutorial I made for Pastel Peaks Baby Hat pattern. 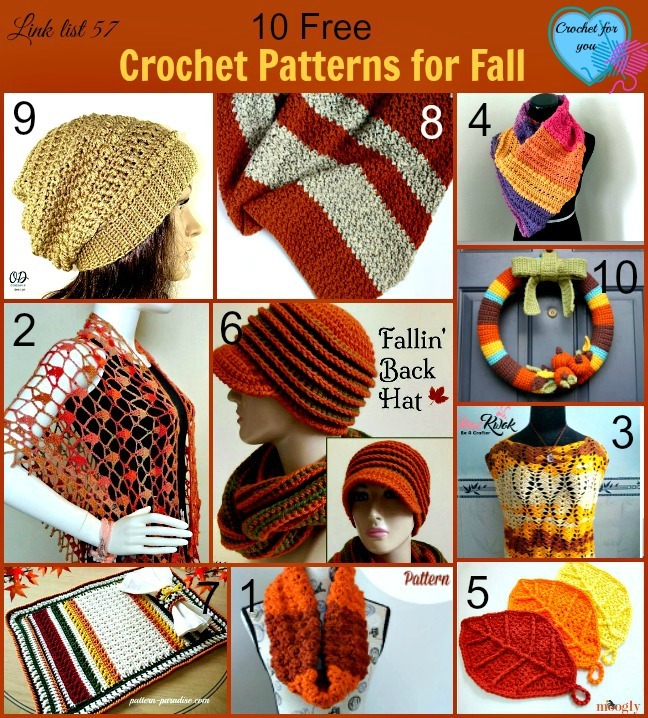 Please go to the pattern instruction to see the full description of the pattern. and come back if you have a confuse about the pattern, especially about the (fpdc, 3 dc) shell / (fpdc, 2 dc) shell / (fpdc, dc) shell stitches. (RS) crochet round 1 and 2 to start Pastel Peaks Baby Hat. Now we are going to start to crochet (fpdc, 3 dc) shell in first st. Round 3 finished. Follow these steps and make Round 4 to 8 by repeating round 3. 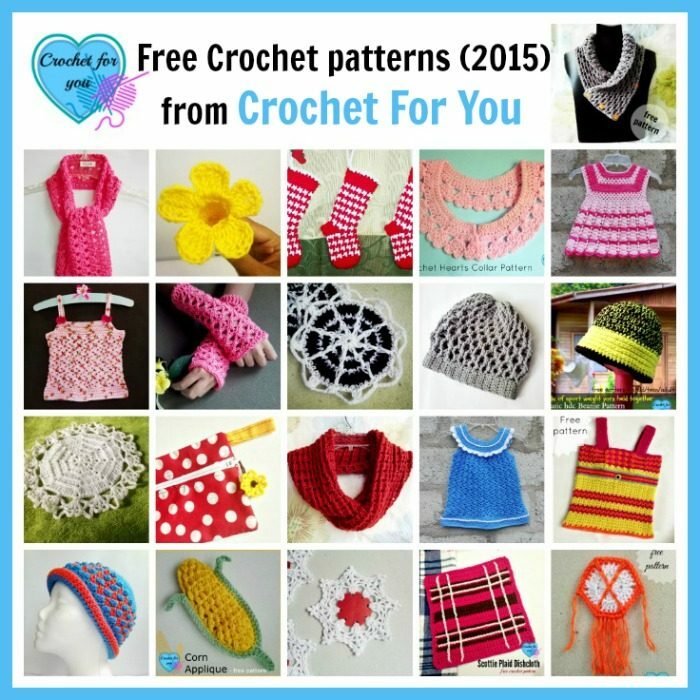 Now we are going to start to crochet (fpdc, 2 dc) shell in first st. In this round, you have to crochet (fpdc, dc) shell. 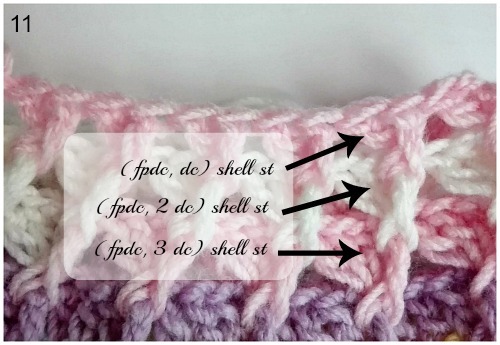 As you crochet previous shell stitch, make sure to crochet 1 dc in same st after crocheting fpdc. 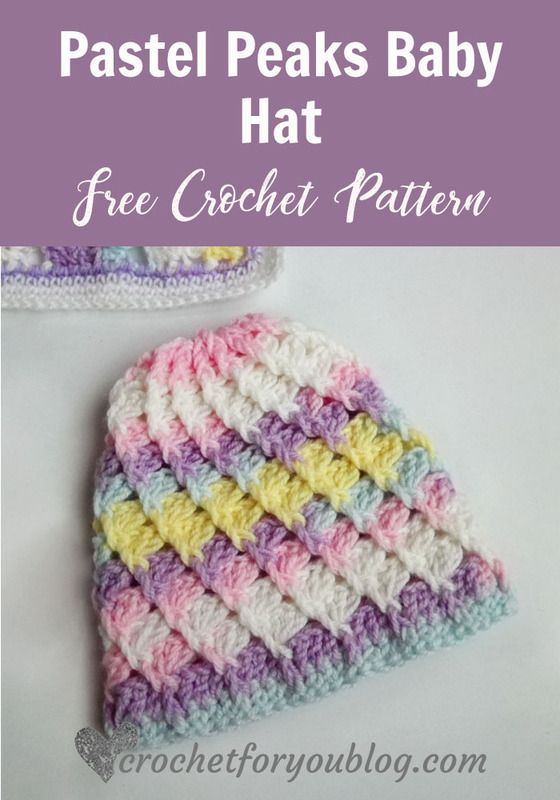 Please go to the Pastel Peaks Baby Hat pattern for full instruction to finish the hat. Starting out how many to you chain to start on row 1? 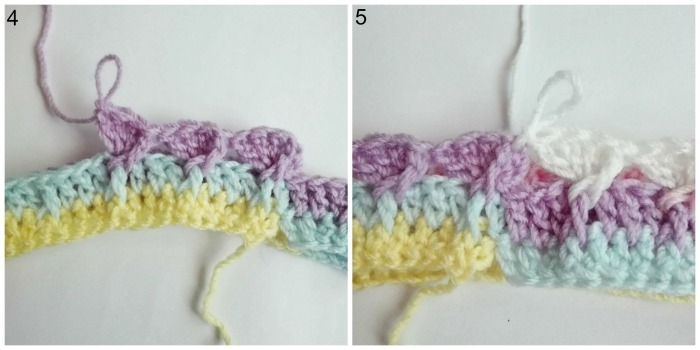 Hi Jan, this post only for a pastel peaks stitch tutorial with step by step photos. 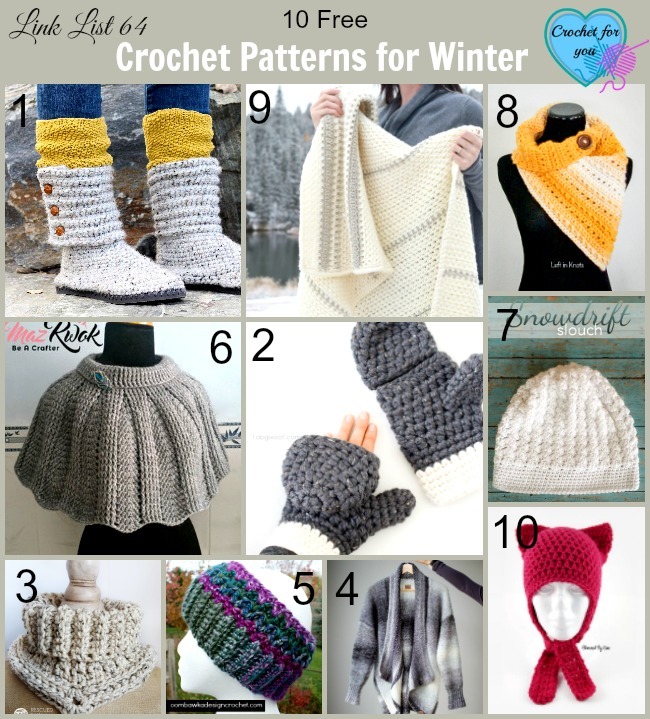 You can find a link to each original pattern in this post. If you have any unclear point come back here and follow step by step photos. I really like the way this pattern works up. But I was having a hard time doing a bpdc after doing 2 dc in the same stitch. So I just switched the bpdc and the fpdc in the pattern. Now I do bpdc first and then 2 dc in the same stitch, and I do 2 dc followed by a fpdc in the same stitch. It is a whole lot easier to do. It looks just like the way you wrote it, but it is easier for me to do. Thanks Jan. I hope I can make this but would love to find a video of it which will help better rather than the picture tutorial. Keep us going with all your tutorials.